This article discusses the merits and drawbacks of HTML5 Web-Based Ebooks. It’s really a blog post in eBook form, but why talk about it when you can do it? EBooks on the web are not a proposal or a theory; they’re here. 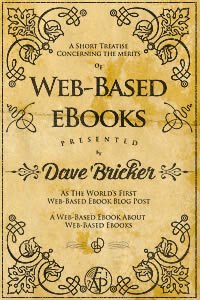 Web-based eBooks are beautiful, functional, easy-to-create, and available now to anyone with an up-to-date web browser. 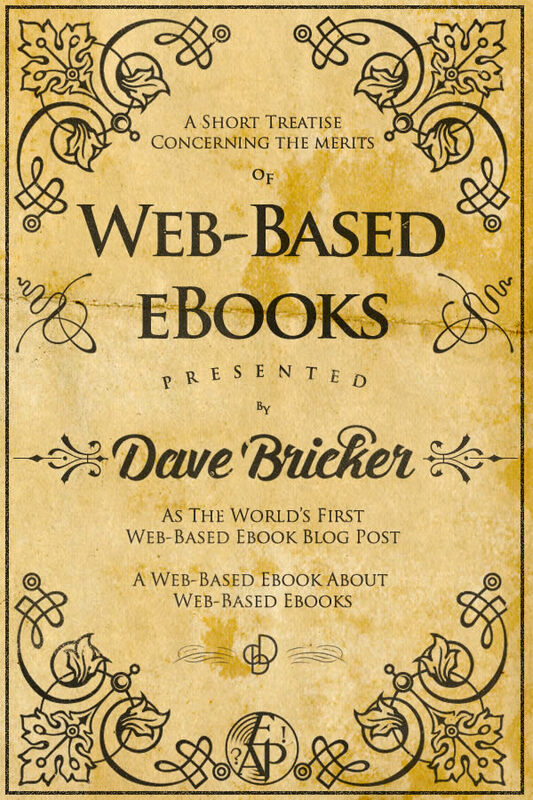 Are web-based eBooks of value? Or is this another new channel that fragments the market and makes more work for publishers? Every eBook format has advantages and disadvantages. Determining which eBook format(s) are right for you depend(s) on your content, publishing goals, and standards. Leverage popular (ePub) formats to take advantage of the widest possible distribution and easy, third-party e-commerce technology. Use HTML5 eBooks for better presentation, consistent support of enhanced functionality, and building relationships directly with your readers. Could it have independent side-by-side columns of different lengths that wouldn’t interfere with each other, such as for bilingual books in which one language is more concise than the other? You could use footnotes to add foreign language annotations, but there’s no facility for side-by-side columns. TreeSaver.js does display a 2-page spread (it’s a good format, but it breaks when you zoom in and our in browsers other than Firefox), but the approach you want has other problems: Imagine an English/Spanish text where the Spanish is about 30% longer (this is the nature of Spanish vs. English). Your first two columns will be more or less in alignment, but the more pages you have, the more disparity you’ll have between them. Ultimately, if the English stops on page 66, the Spanish will continue on to page 100. You did mention columns of unequal length on each page, presumable to account for this “drift.” Now it’s best to eliminate reflowable text. EPub3 does support “fixed layout”; I would check to see how well supported it is. But why not just use PDF? Like HTML5 eBooks, PDF can be read on almost anything, and you’ll have the benefit of presenting the typography exactly as it would be on the printed page. First? Not sure about that. I am working on the same concept but with a different approach. Time to kill PDF. I’m not certain, either about it being first, but it sounded good! As for PDF, I always thought it was hands-down the ideal format for fixed layout eBooks. EPub was created to handle flowable text so I was surprised when ePub3 developers started touting fixed layout as a “feature.” I have nothing against PDF (or ePub for that matter), but the discussion takes us back to why the browser is an ideal platform. The browser displays HTML5, PDF, and (with the appropriate add-ons) the most full-featured and consistent presentation of ePub. With one technology able to handle all formats, why go elsewhere? Good luck with your project.